Item sold in auction: Internet Auction # 130. Closed On: Monday, March 12, 2007 6:08 PM. Speelman-White. 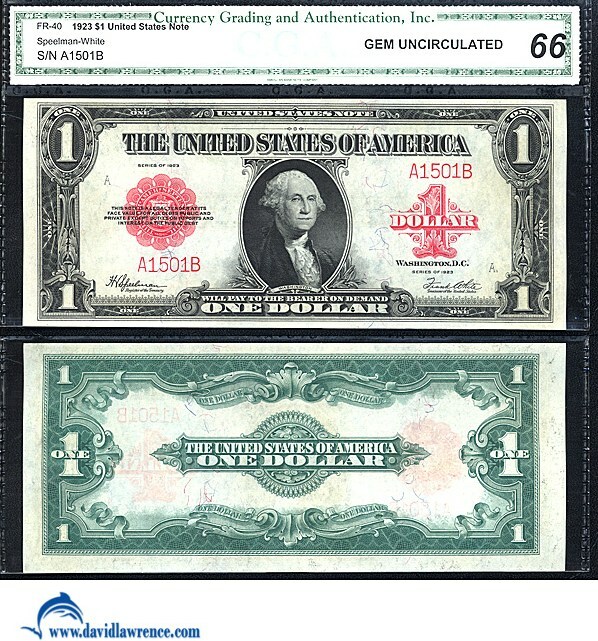 Popular type note and a desirable 4-digit serial number. Great color and margins.